Children literature includes various genres such as picture books, traditional literature, school stories, nonfiction, biography, poetry and verse. Traditional literature genres are composed of sub-genres like myths, fables, fairy tales, ballads and legends. Some famous fairy tales writers include the brothers’ Grimm – authors of Snow White, Cinderella, Hansel and Gretel, while Hans Christian Andersen is the author of The Little Mermaid and Charles Perrault is known for his reinterpretation of the folk story Little Red Riding Hood. 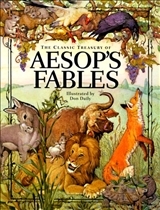 Famous authors of fables include Aesop, Phaedrus, Syntipas, Marie de France, Jean de la Fontaine, John Gay, Leonardo da Vinci, Leo Tolstoy, George Orwell and Ivan Krylov. A fable is a short narrative in verse or in prose featuring inanimate objects, anthropomorphized animals and plants and mythical creatures which are part of a scenario serving moral purposes. A fairy tale is a short narrative in prose featuring fairies, goblins, gnomes and people with extra powers which are part of a far-fetched sequence of events. Fables speak of common moral flaws like greed, envy, pride and wrath. The behavior of animals, plants and other creatures involved imitate human actions so as to relate the situation described with real cases. The characters which express patience and wisdom are usually rewarded in the end, while morally flawed characters are punished. Fables also feature ingenious solutions for solving a dilemma. For instance, in Aesop’s fable The Crow and the Bottle the bird inserts pebbles in the bottle so the liquid in the wine bottle will rise. He couldn't reach it with its beak otherwise. Fables usually end with a moral commentary either from one of the characters or from the author. Fairy tales feature creatures which fight against evil using magic or practical solutions. They can receive assistance from magical creatures like fairy godmothers, wizards or inanimate objects. Fairy tales may refer to the struggle of a poor girl like it is the case in the Cinderella fairy tale, to the adventures of two lost brothers like in Hansel and Gretel or to trials to escape from the bad wolf like in Little Red Riding Hood. In the end of fairy tales, positive characters are rewarded for their good deeds, while negative ones are punished. The moral implications can be revealed by the author or the reader can formulate its own opinions based on clues throughout the fairy tale. Fables and fairy tales stemmed from oral tradition stories and old folk tales. A fable is a short narrative in prose or in verse with a moral outcome. A fairy tale is a short narrative in prose featuring magical creatures involved in a far-fetched sequence of events. Good versus evil, patience and wisdom are rewarded in fables and fairy tales, while evil characters are punished. 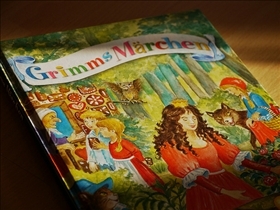 The old folk tales are the origin for fables and fairy tales. Which type of literature features moral stories? Babysitting vs. Childcare: What's the difference? Barbie vs Bratz: Which is best? Webkinz vs. Club Penguin: Calling All Kids!